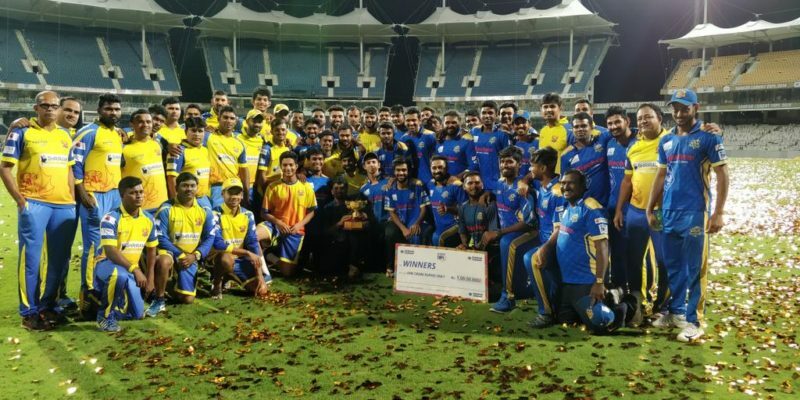 Madurai Panthers, who had not won a single match in the two previous seasons, beat Dindigul Dragons by seven wickets and won TNPL 2018. Madurai Panthers completed a miraculous comeback this season when they beat Dindigul Dragons at the MA Chidambaram Stadium on Sunday by seven wickets to win the 2018 Tamil Nadu Premier League. Madurai had failed to win a single match in the last two seasons of the TNPL but have managed to go all the way this year. Madurai won the toss and elected to bowl first. They tore into the strong Dindigul batting line up with each of the first five overs accounting for a wicket at least. Dindigul Captain N Jagadeesan managed to score 51 which helped them cross the 100-run mark. They were bounded out for 117. Madurai also had a rather disastrous start to the chase, losing three wickets in the very first over. But that was all the damage that Dindigul could do. The experienced duo of KB Arun Karthik not out 75(50b,4×4,4×6) and Shijit Chandran 38(49b,3×4,1×6) stepped up for the Panthers and steered the team upwards with an unbeaten 117-run partnership. Arun Karthik registered his sixth fifty of the season and remained the highest run-getter in the tournament. Dindigul Dragons 117 all out in 19.5 overs ( N Jagadeesan 51, Abhishek Tanwar 4-30, Lokesh Raj 3-31, V Chakaravarthy 2-9) lost to Siechem Madurai Panthers 119/3 in 17.1 overs ( KB Arun Karthik n.o. 75, Shijit Chandran n.o. 38 , M Silambarasan 3-23) by seven wickets.